Documents offer fresh insights into life and death on the Eastern Front. The German Historical Institute in Moscow together with the Central Archive of the Ministry of Defense have published documents compiled by Soviet military intelligence – 341 files with translated papers of the Third Reich, interrogation reports of prisoners of war and soldiers' personal letters. Matthias Uhl, a researcher at the German Historical Institute in Moscow, selected and commented on eight documents that he believes would be of particularly interest to general readers. The new set of documents comprises 341 files containing German documents translated by Soviet military intelligence into Russian for the General Staff of the Red Army. In addition, this set includes interrogation reports of German prisoners of war, assessments and other internal correspondence of the Main Intelligence Directorate of the USSR (GRU) and other agencies. All of these documents are being published for the first time. 1) An instruction on the treatment of the Soviet population, 1944. “The Russians, particularly Belarusians, Ukrainians and northern Great Russians belong to the family of the Aryan nations. They have a lot of Viking blood running in their veins, which they are very proud of," the document says. 2) A photo of an unidentified dead German lieutenant general and the GRU's cover sheet, 1944. "I present two uniforms and one pair of trousers [belonging to] German generals," it said. “This is a very rare and unusual document – a photo of a German lieutenant general killed in action," Uhl says. "As far as we can tell, he died in Belarus in the summer of 1944 during the Soviet Operation Bagration. “The photo was taken by Soviet military intelligence. Apparently they received a report that a dead German officer lay somewhere," he says. “The intelligence [agents] photographed the bodies of the officers to establish their identity and to draw some conclusions. But, apparently, they did not manage to find out who it was. 3) An interrogation report of Admiral Werner Tillessen on the organizational structure of the German Navy, 1944. The interrogated admiral was told about the concentration camp in Lublin. This information made a great impression on him, but he did not believe it. "As far as I know, Werner Tillessen was the first German admiral that fell into Soviet captivity," Uhl says. "He did not return home – he was sent to a camp where he died in 1953. We can see from this document that he described in detail the structure of the German Navy. This behavior is typical of senior officers – they usually resisted for two or three days, but then realized that they could not get away. They described in detail either the structure of the army or the course of military actions. I have not yet seen a single report where the interrogated would have given only his name and rank." 4) An instruction by the counterintelligence department of Germany's 2nd Army about Soviet espionage attempts and the operation of the Soviet intelligence, 1944. Female agents were tasked with finding a job at a meat or dairy farm in order to poison meat or milk. 5) A military intelligence report about the 12th Panzer Division, December 1942. "There are complaints about the cold, frostbite and poor clothing that do not imply, however, criticism of Hitler's government," the document says. "This report shows the pressure that the German army was under," Uhl says. "We see that the German divisions were severely depleted, that they were not what they were in 1941." 6) A report on the mood and morale of the Wehrmacht soldiers, 1943. "The Red Army leaflets found in the woods were earlier passed around only among a circle of good friends, but now it is done quite openly," the document says. "Here we can see the war through the eyes of the soldiers fighting on the Eastern Front, and their families in Germany," Uhl says. "Also, these documents show the strength of the Red Army and heavy losses on the Eastern Front." 7) Excerpts from letters of Wehrmacht soldiers, 1943. "It's terrible that there is no end in sight to this war. We do not see anything cheerful anymore," the document says. According to Uhl, it is evident that both the German soldiers and their families in Germany did not believe in victory anymore. 8) Documents from the Intelligence Department of the General Staff of the 2nd Ukrainian Front: summary data on the results of the liquidation of German troops in the Korsun-Shevchenko district, on the number of prisoners of war and trophies, a report about finding the corpse of General Wilhelm Stemmermann and data about the number of dead on the German side. "It was some kind of hell. People rushed about, hoping to find salvation from this terrible fire, but death found them everywhere," the document says. "This set of documents shows the heavy losses of German divisions, even in a fairly quiet sector of the front," Uhl says. "I think it speaks to the particular brutality of the war on the Eastern Front – everybody was fighting to the last, no one wanted to get captured." "All the documents with which we are now working have not previously been available to the world's researchers," Uhl says. "Of course, it is impossible to make a discovery just by studying one good document; they must be considered together. It is time-consuming research work. 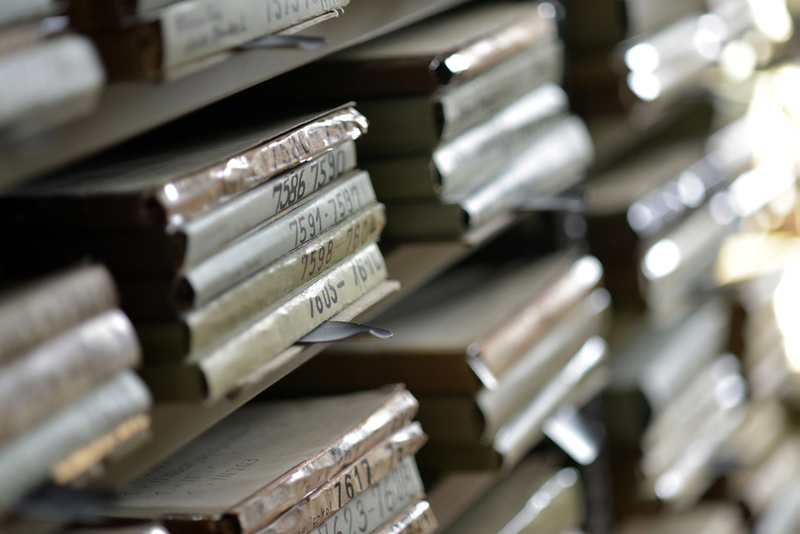 It will take at least four to five years after digitizing the entire array of documents."